Join Principal Eugene de Souza at the San Diego Green Building Conference + Expo. He along with team members Andy Feth (C.W. 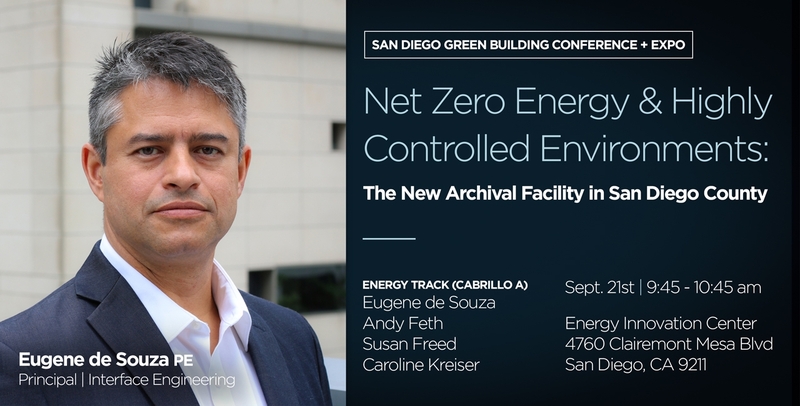 Driver), Susan Freed (County of San Diego), Caroline Kreiser (Miller Hull) will be discussing Net Zero Energy and Highly Controlled Environments: the New Archival Facility in San Diego County.